J. Cole has announced his brand new album ‘4 Your Eyez Only’. The US rapper, who has been very quiet in 2016, has made the album available for pre-order on iTunes. J. Cole’s new album is set for release on 9th December 2016. 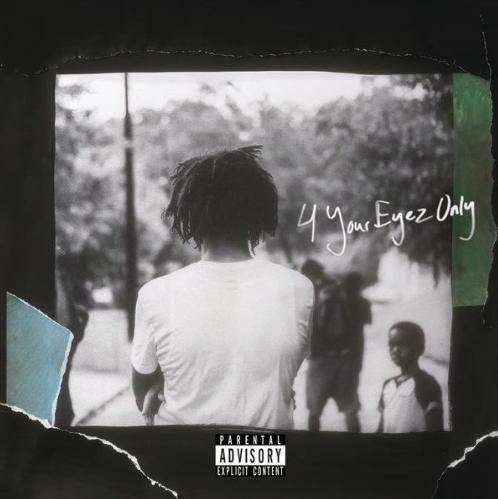 ‘4 Your Eyez Only’ will be Cole’s fourth studio album, following up his 2014 LP ‘Forest Hills Drive’. So far there are only 10 songs listed on the album and none of them include titles or features. Interestingly back in October Cole told fans that he wouldn’t be making any more stage appearances for a long time, following his performance at the Meadows Music and Arts Festival in New York. He also previously sparked speculation about his retirement on his DJ Khaled collaboration ‘Jermaine’s Interlude’. However this album announcement suggests he plans to continue making music. Preorder J. Cole’s new album ‘4 Your Eyez Only’ via iTunes now.